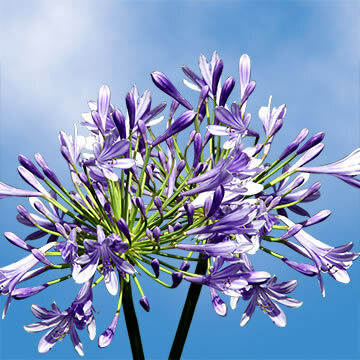 Color tones for all Blue/Purple Agapanthus may vary due to the computer monitor and/or Mother Nature. 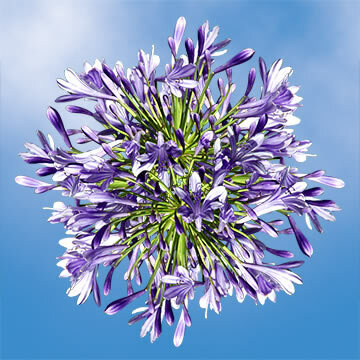 Also known as the flower of love, these Agapanthus Flowers have exotic blooms with large round clusters. 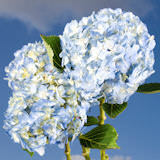 Show all your passion and admiration with the wonderful flowers. For Mother's Day, Order Today! 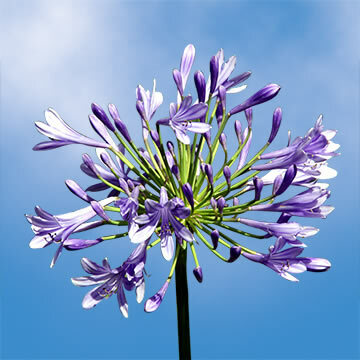 Often called the Lily of the Nile, Agapanthus Flowers are bold, dazzling beauties. This stunning stunning selection has funnel-shaped florets in hues of blue, violet, and white that bloom in large impressive clusters. Easy to care for and long lasting, they are the perfect choice for brightening any home and adding a touch of whimsy to any occasion. Globalrose.com grows a spectacular selection of fresh floral decor year round in our state of the art, temperature controlled eco- friendly greenhouse! Native to Southern Africa, these exotic florets bring an air of elegance to any affair and delight the senses with a heavenly fragrance. 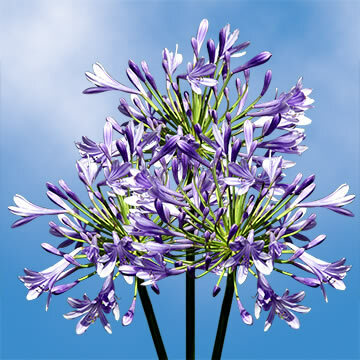 Considered the "love Flower", Agapanthus Flowers are perfect for any romantic or special occasion. Set the mood for a summer engagement with a breathtaking centerpiece of blue and white buds, inspired by shades of the ocean or entwine them in vines to create a touch of fantasy at the entrance to a garden wedding. The possibilities are endless! Whether you want to decorate an entire bridal shower with lavish petals or simply add a touch of color to a crisp white tablecloth for a family get together, blossoms from globalrose.com create the perfect atmosphere. 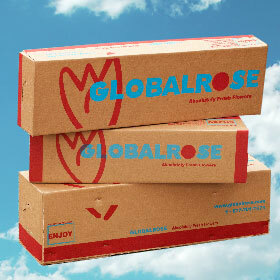 Freshly cut only 3-4 days before arriving directly to your doorstep, Globalrose promises a simple, carefree shopping experience. With more than 30 years expertise growing only the finest products, our company produces an eco-friendly product that is cultivated year round using the latest technology. Every floret purchased is hand picked, quality graded and hydrated, before they are packed and sent overnight to our refrigerated warehouse and then shipped via FedEx to their destination. We appreciate each and every customer and guarantee the lowest prices! 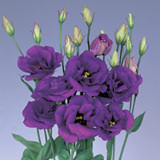 Order from a stunning selection of blossoms online at www.globalrose.com 7 days a week, 365 days a year! The Freedom Roses and Gerbera Daisies were beautiful as always! So glad I ordered these to use in my beehive centerpieces for a bumble bee themed 1st birthday. I ordered 500 roses from Global Rose for my engagement party. They came on time, opened up beautifully and just made my event beautiful. Cant say enough about them. Id order from them any day. The name Rose comes from French, which itself comes from Latin rosa. The Rose undoubtedly remains the queen of the cut flowers. The historical association of this flower with romance and beauty ensures that roses will continue to be a highly desired cut flower in the future. Vase Life: When properly handled, and given an effective fresh flower food, roses will give a display life of 6-12 days depending on cultivar. 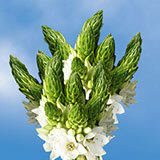 They are harvested and cut when in bud, and held in refrigerated conditions until ready for shipment. Length: Rose stems are 16" to 26" long. Pack: Bunches of 25 Roses. Box may contain 75, 100, 150, 200 or 250 roses. Roses Uses: Can be used to make, bridal bouquets, dozen rose bouquets, wedding centerpieces, restaurants table decorations, fundraisers/fundraising events, corporate functions, corsages and many other uses. roses, alstroemerias, hydreangeas and fillers are some of the wholesale flowers that can be combined with roses for wedding flowers. Globalrose suggests these simple care tips to keep your Roses fresh and beautiful. • It is recommended that your Roses be delivered (two to three days before the event) to an address where someone can receive and care for them. If this is not possible, your Roses will be left in a safe place at the delivery address. All our orders are dispatched with signature release authorization. • It is very important to bring your Roses indoor as soon as they are delivered. 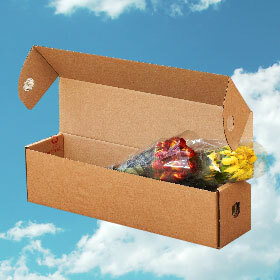 If this is not immediately possible, make sure you place your Roses box in a cool place. Roses should be stored at room temperature as long as they are kept away from heat or cold sources and out of direct sunlight. • Before you unpack your Roses, choose a work area that includes a table or counter top and a floor that can resist water. Have handy a set of shears and several empty containers. • When you are ready to arrange your Roses, open the box/es and begin by removing the Roses bunch by bunch. 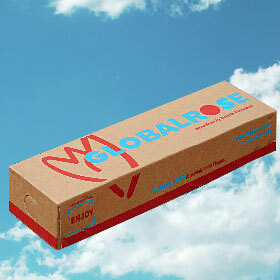 Without removing the plastic wrappers protecting the Roses buds, remove all other packaging materials from the box/es. Keep in mind that each bunch has several Roses (25 per bunch). • Prepare containers/buckets by filling them with room temperature water. 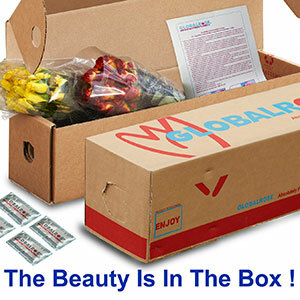 Immediately after your Roses arrive, pour in and mix the enclosed floral food packets provided with each Roses order. The floral food has been shown to increase the life of fresh Roses by several days. Save a few packets for when you change the water in a few days. • Cut each stem one inch from the bottom. Place the Roses in water immediately after cutting them. Re-cutting Roses stems from time to time is important (every two days), as stem tips may be incapable of transporting water to the Roses over time. • Be sure to remove any leaves that fall below the water line to prevent bacteria from forming. 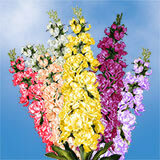 Floral food provided and enclosed with each order will also help to limit bacteria growth. • Place Roses in your prepared water-filled containers. Ideally, the plastic wrappers should be kept while the Roses are hydrating. Hydration occurs anywhere between six to eight hours. • To ensure longer lasting Roses, continue to keep them out of direct sunlight and away from heat. Change the water and cut Roses stems one inch every other day. Each time you change the water, add more floral food and be sure that no leaves sit below the water level. • With the passage of time, give your roses a "face-lift" every couple of days by gently removing discolored or drooping petals from your Roses. Does the price include shipping? Shipping is FREE on ALL orders within the continental US for packages delivered Tuesday through Friday. 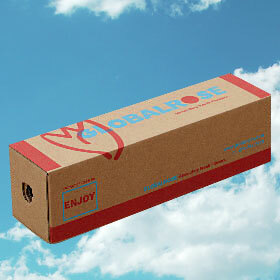 Saturday delivery is available in some areas for and extra charge per box. Deliveries to Alaska, Hawaii and Puerto Rico are charged with an additional fee per box. What's the earliest I can have my flowers delivered? All our flowers (except wedding combos, boutonnieres, corsages, bridesmaid and bridal bouquets) can be delivered as early as three or four days after placing the order. Order before 10:00 a.m. EST on Monday and flowers can be delivered as early as Thursday of that same week. Order before 10:00 a.m. EST on Tuesday and flowers can be delivered as early as Friday of that same week. 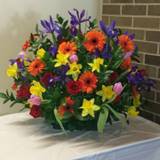 Order before 8:00 a.m. EST on Friday and flowers can be delivered as early as Tuesday of the following week. 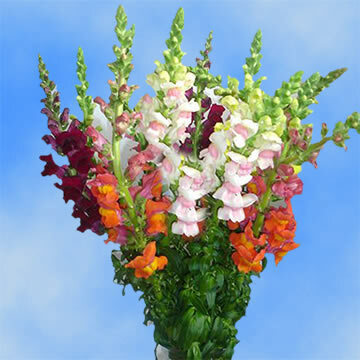 Order before 4:00 p.m. EST on Friday and flowers can be delivered as early as Wednesday of the following week. For all our wedding combos, boutonnieres, corsages, bridesmaid and bridal bouquets we recommend you place your order at least 10 days prior to your delivery date. We do not deliver on Sunday or Monday or Holidays (New Year's Day, Christmas Day, 4th of July) Saturday delivery is available in most of the continental US zip codes at an additional charge of $20.00 per box. Where is your service available? Orders are accepted worldwide but deliveries are only available in the US (including Alaska, Hawaii and Puerto Rico) and Canada. Orders can be placed as early as 100 days prior to the delivery date and as late as four week days before the delivery date. On wedding combos, corsages, boutonnieres and bridesmaid or bridal bouquets orders should be placed with at least 10 days in advance. Changes and cancellations will be accepted until five days prior to the original delivery date. Globalrose will charge a 15% cancellation fee. NO exceptions to Globalrose cancellation policy. Unfortunately we can't accept cancellations within 5 days of your original delivery date. Any change or cancellation request must be notified via e-mail only. No changes or cancellations are accepted over the phone. In the event you cancel an order keep in mind that the refund will be for the original order amount minus the 15% cancellation fee. The refund can take up to 3 week days due to the banks.